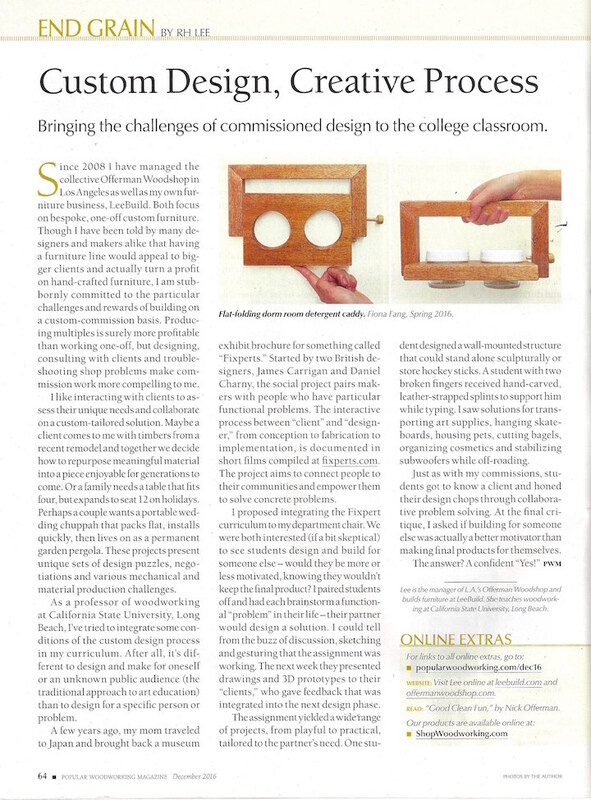 I’m proud to have an article in the December issue (#229) of Popular Woodworking Magazine. 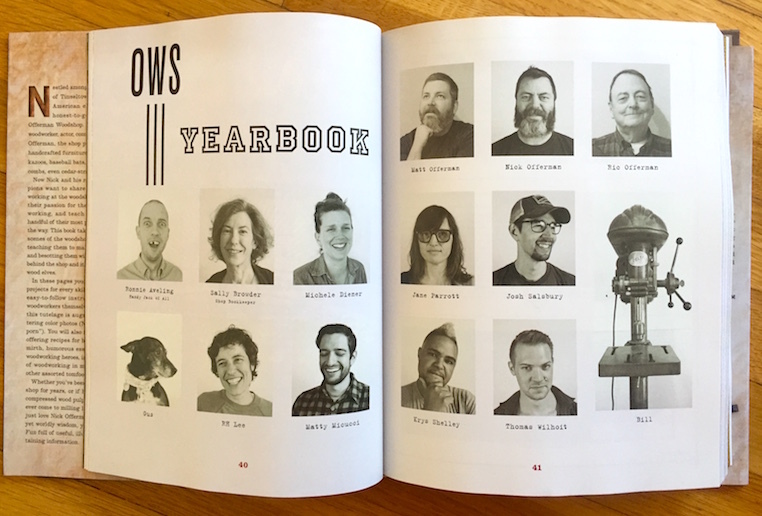 Offerman Woodshop Book Just Released! 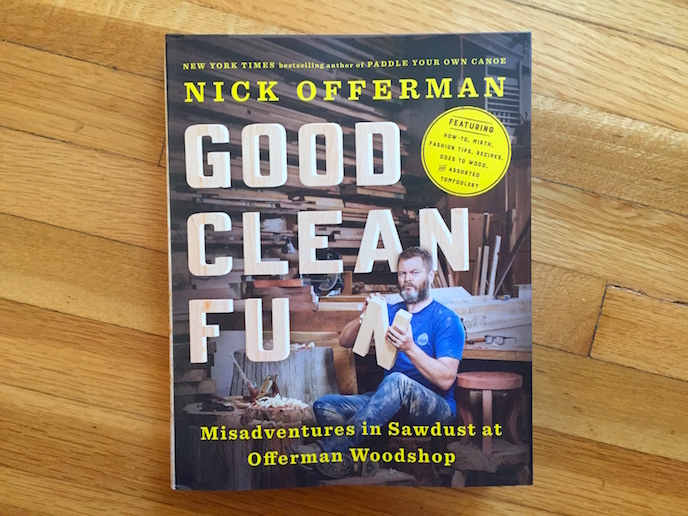 After a year of hard work and some good fun, we have just launched a coffee table book called Good Clean Fun: Misadventures in Sawdust at Offerman Woodshop on sale now at your local bookstore or at the Offerman Woodshop online store or find tickets & info for the LA book launch party Nov 13 here. I had the pleasure to work with some of my best friends, esteemed colleagues, my cousin Sally, and my dog Gus on this creative collaboration. 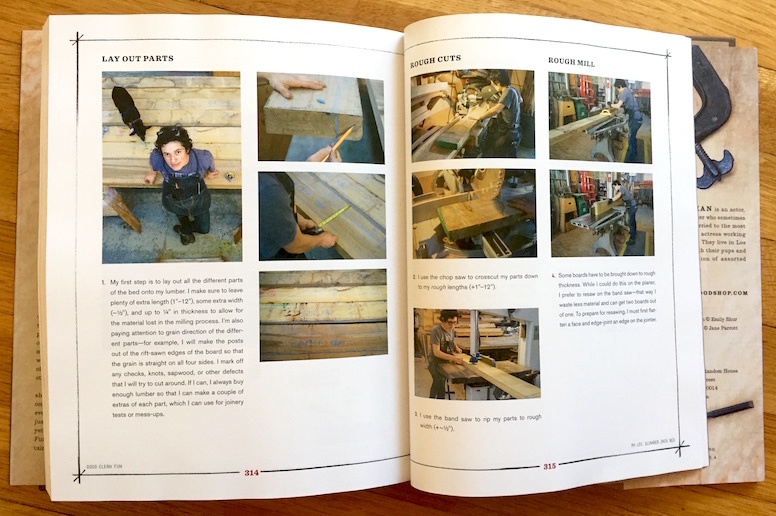 And, I got to write my own chapter about my path to woodworking, and an instructional on building my dream bed. Thanks to Nick for sharing these pages and his shop with us, and thanks to the fine folks at Penguin Books for making this dream come true! 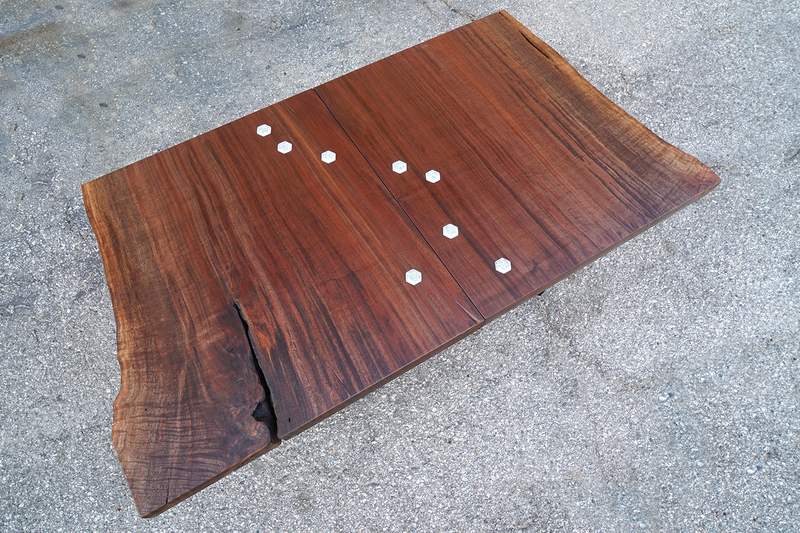 Quarter-sawn White Oak frame with Claro Walnut slab headboard. Now if only woodworking went this fast in real life! Amy Poehler’s Smart Girls visit the shop today! Smart Girls will be live streaming from the shop today–tune in on facebook! 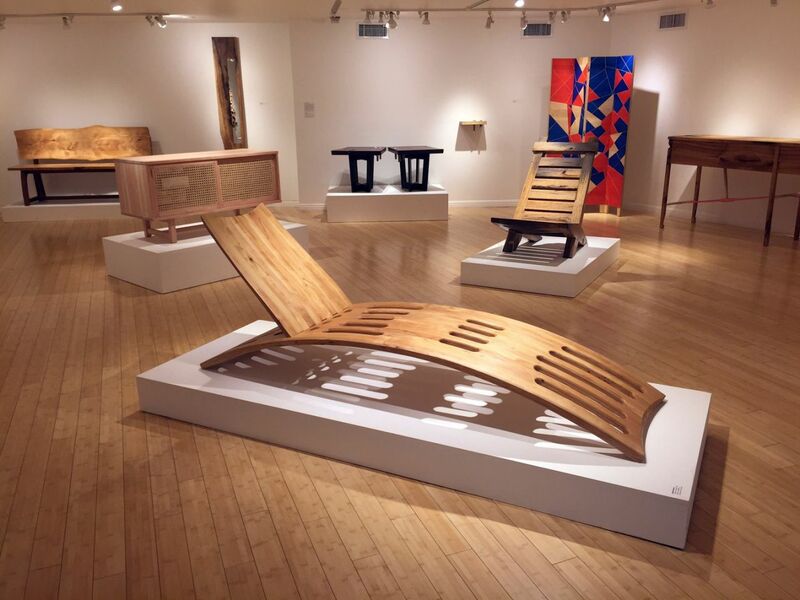 Thanks to Solvej Schou of the Associated Press for this article on the LA Box Collective group show: “Windfall” at the Craft and Folk Art Museum in Los Angeles. A conversation that began on the backcountry trails of the Southern Sierras last summer has now found a formal “front country” outlet. 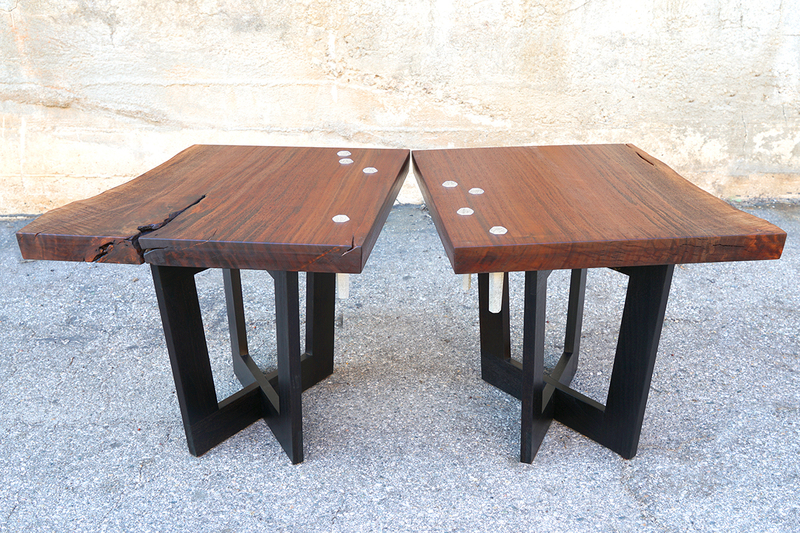 Myself and two of my favorite colleagues and backpacking companions–JD Sassaman and Laura Zahn–will be discussing our different models of running collaborative wood shops at this year’s Furniture Society Conference in Philadelphia. The panel takes place on June 23rd, and will be facilitated by Sarah Marriage.